Acacia plywood top board, side board & back board. 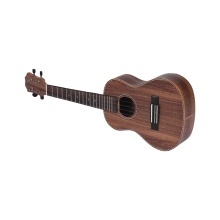 Okoume ukulele neck, rosewood fingerboard and close type tuners. High-quality D&apos;Addario nylon strings produce really nice and bright sounds.